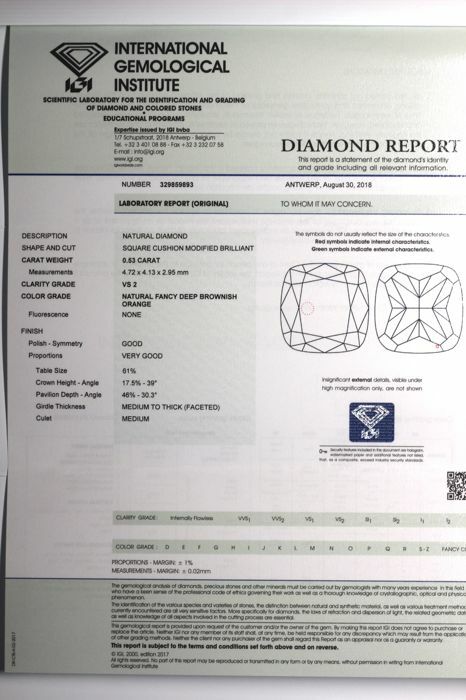 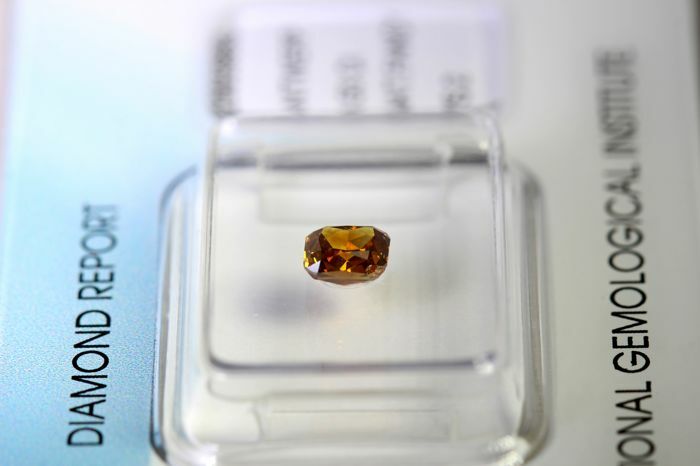 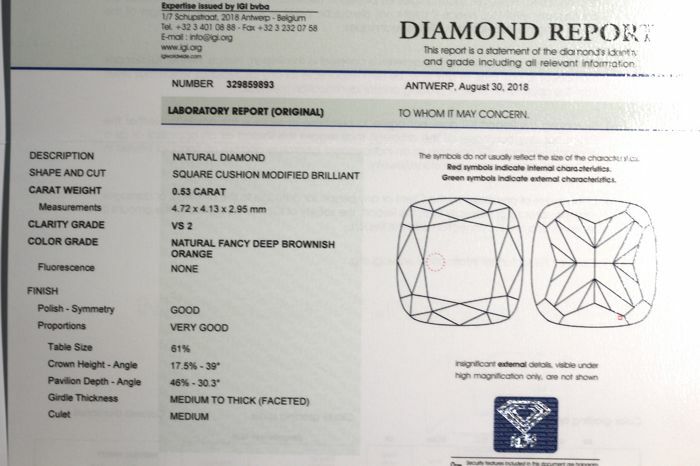 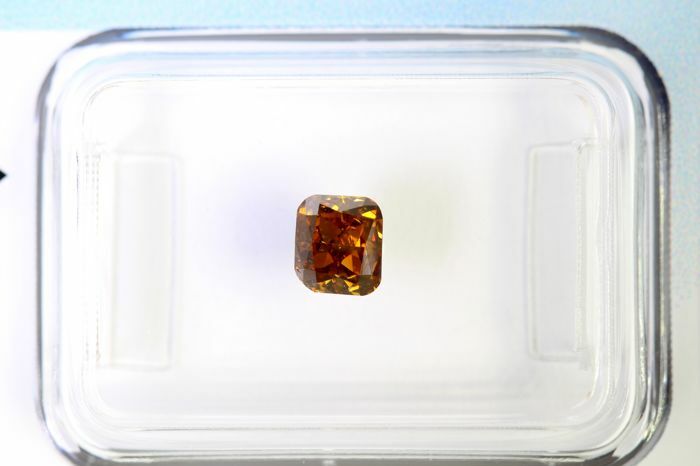 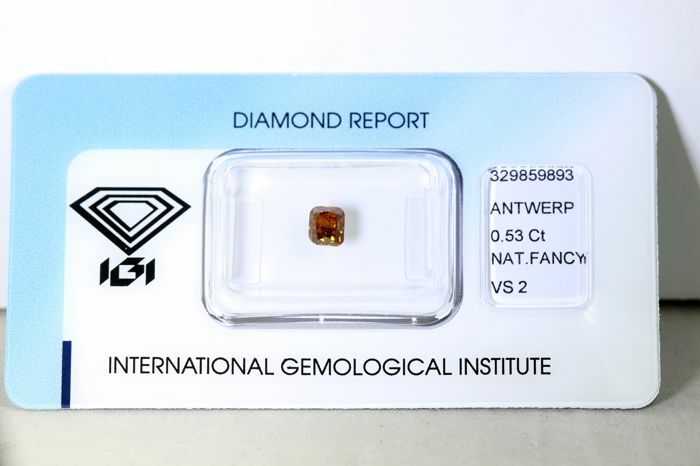 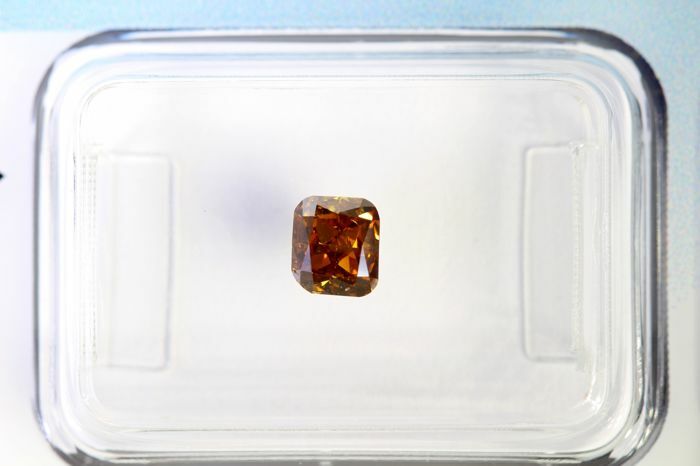 IGI sealed diamond - 0.53 ct - fancy deep brownish orange - VS2. 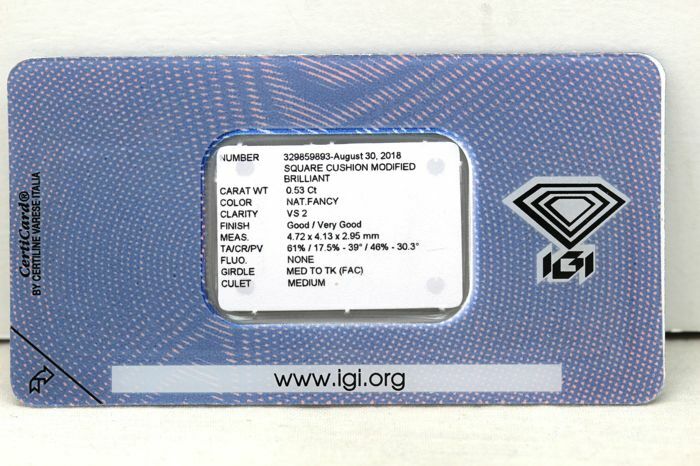 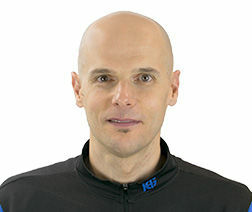 Size: 4.72–4.13 x 2.95 mm. 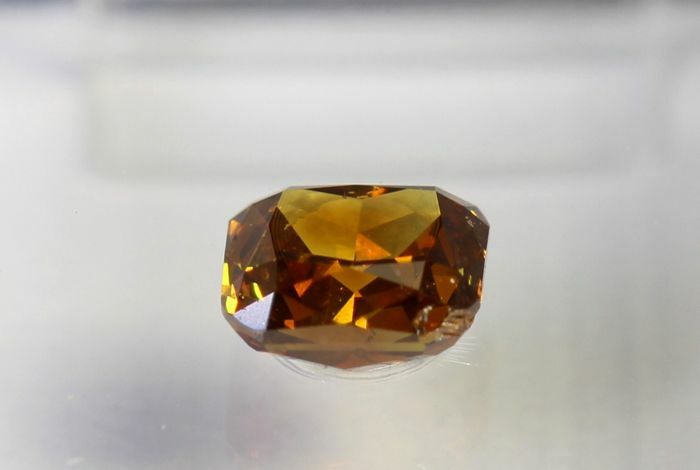 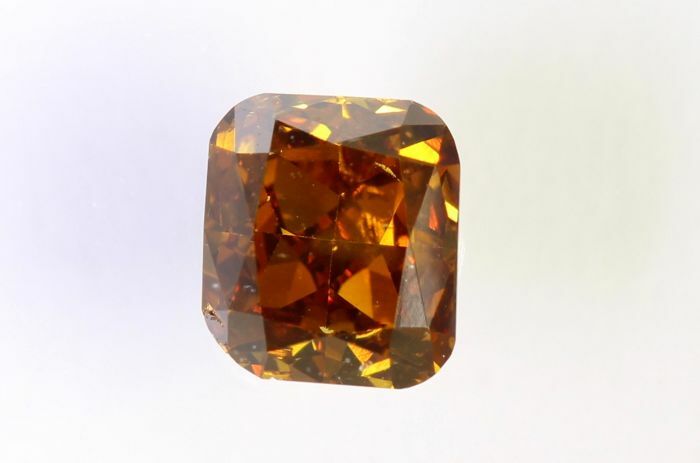 Diamond colour:	Fancy Deep Brownish Orange.